With less than 2 weeks before The Walking Dead returns for its seventh season, the cast and crew of the acclaimed show gathered at New York Comic Con to offer a few tidbits for the upcoming season and everyone can find out what’s in store. 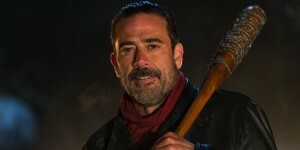 Before we begin, no they did not reveal who the mystery victim of Negan’s “Lucille” will be. We’ll just have to hurry up and wait for the season premiere to see that. In the Hammerstein Ball room at Madison Square Garden, the audience was treated to a clip of The Walking Dead: The Journey So Far, before the cast and crew sat down to chat. Of course, Chris Hardwick moderated the panel. Panelists included Normal Reedus, Jeffrey Dean Morgan, Stephen Yeun, Lauren Cohan, Danai Gurira, Melissa McBride, Michael Cudlitz, Lennie James, Sonequa Martin-Green, Alanna Masterson, Seth Gilliam, Austin Nichols, Jeffrey Dean Morgan, as well as members of the production crew including Scott Gimple, Gale Anne Hurd, and Robert Kirkman. Sorry, but once again Andrew Lincoln was a no-show. He did write a letter which Normal Reedus read for the crowd. "Dear New York Comic Con, this is Andrew Lincoln here. I've occupied Norman Reedus here. I'm inside his mind. I'm sorry I couldn't be there today. The chicken in his trailer was juvenile. The ongoing glitter war was ill judged and consistently knowing names or characters or new plot lines that Daryl is not involved with." The two seem to be continuing their ongoing prank war they have had behind the scenes for ages. Each person offered their insights to the characters so far as well as going forward. Toward the end of the panel, the panel was asked who they would prefer being if they were not their own characters. Lennie James - Eugene "because he rocks that hair." Fans of the comic book already know that the world’s about to change drastically. Sure, they’ve dealt with bad guys like “The Governor, the people of Terminus, the people at the hospital, but they are nowhere near as ruthless, cunning, and organized as Negan is. Each of the cast members talked about Jeffrey Dean Morgan coming onto the show and how badass his character Negan is going to be. “Negan was one of the best comic book villains of all-time. Negan really is a ign of the new world...They've run into somebody that is bigger, stronger, more organized, better equipped. They are outnumbered, outgunned." –Scott Gimple. Negan himself, Jeffrey Dean Morgan talked about Negan and her personality which also sell the character. When asked if he (Morgan) believes that his character (Negan) believes he is in the right as well as his character’s charisma. "To have somewhere to go, you have to believe in what you're doing. What he is doing is essentially the same thing these people are doing. He just happens to carry a baseball bat who he loves dearly." "He's a bit of a showman. This world is his stage. You can call it cocky but we all watched Rick get cocky." 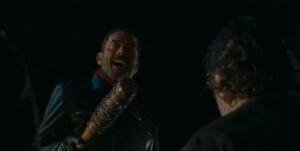 One thing that seems to differ from the comics versus the television show, is Negan’s foul mouth. In the comic books, Negan uses the word f*ck as a noun. Pretty much every other word is a curse. Given that this show is on AMC and not Netflix or HBO, the producers know they would have had to tone it down a little. There is an “f-bomb” scene shot for the Blu-Ray of last season’s release. But does that mean that we won’t get any cursing? Showrunner Scott Gimple weighs in. "We surgically capture the F-bombs that matter,"
So it looks like we will get a few curses in from Negan. Just as their leader Negan is organized and ready to go, The Saviors are not a group to be trifled with. We’ve only seen but a little bit about what they are capable of under Negan’s leadership. We don’t even know how vast their territory is. In the past our heroes have only dealt with villains at one location, making battles much simpler. 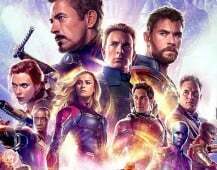 Members of the panel remarked that we don’t even know how many of The Saviors there really are. 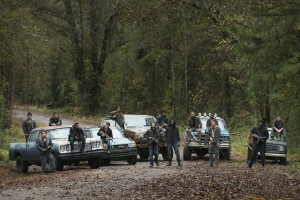 They are well organized, and will be a serious problem for Rick and the group. Morgan has been a very interesting (and polarizing) character on the show. He was the first person Rick met way back in season one and has gone from insane, to an almost Zen-like samurai. Morgan’s new code is that “all life is precious” and as a result doesn’t condone the killing of anyone, even if they deserved to be killed. In last season’s finale, Carol was hurt and about to be killed by a member of The Saviors and Morgan had a gun on the man pleading for him to stop. In the aftermath, Morgan broke his own code to protect Carol shooting the man. 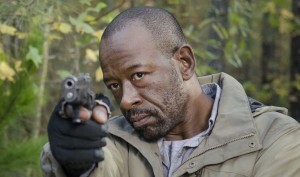 Lennie James offered his insights to Morgan this coming season as a result of his actions in the finale. 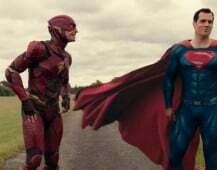 "IF you notice, at the end when he shoots that Savior in order to kill Carol, I think one bullet would have done it but he emptied the clip. Those people who are begging for Morgan to return to the killer, be careful what you wish for." The audience was treated to an exclusive clip that showcased the aftermath of Negan’s brutal attack,..
All this talk of "right-hand man," could it be Darryl? You still can't really tell. Needless to say, it’s a whole new ball game!